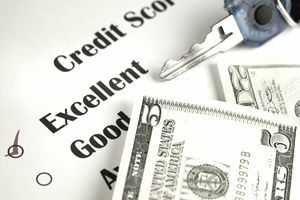 While there are lots of things you can do to get a better credit score, there are no quick or easy ways to take your score from poor to excellent. You’ll need to do several things to improve your credit score and the specific steps you take depend on what’s hurting your score right now. To improve your credit score, you need to understand what’s making your credit score bad. Before you do anything else, order a copy of your credit report and credit score. You can order all three credit bureaus’ credit report and score, or you can start with just one. If you’re looking for a way to reduce the cost (credit reports and scores can be $20 and up), there are few ways to get free credit reports and credit scores. Look at your credit score. It’s a three-digit number between 300 and 850 if you ordered a FICO or other generic score or between 550 and 990 if you ordered the Vantage Score. In both cases, you should have an explanation of why your credit score is low. For example, high credit utilization, too few accounts, or recent delinquencies might be affecting your credit score. Next, review your credit report for the specific accounts with high utilization or delinquencies. If the negative items are incorrect, get them removed by disputing with the credit bureau or the information furnisher. If your credit report contains several delinquencies, you’ll need to pay the past due balances and start adding positive payments to your credit report. Open new accounts to start building a positive payment history if all your other accounts are closed. Because of your low score, you might have trouble getting approved for a traditional credit card. Fortunately, there are other options for getting a credit card with bad credit like a secured credit card, retail store card, or a credit builder loan. Once you get a new account, make all your monthly payments on time, even if it means setting up an automatic payment. The key is to overshadow your negative payment history with positive payments. A high credit utilization means the balances on your credit cards and loans are high relative to the credit limit or original loan amount. The fix for a high credit utilization is fairly simple – pay down those balances. Of course, this may take a lot of time if you don’t have enough money to bring your credit card balances within 10-30% of the credit limit. You might be able to shuffle your balances around in a way that smooths out utilization. For example, if one credit card is at 50% utilization and the other has a $0 balance, you could transfer part of the balance to even out your utilization. To pull this off, you need to make sure the new credit card balance is below 30% of the limit. Don't forget to factor the cost of the balance transfer in your decision. It may be cheaper to leave your balance where it is and just pay it off more aggressively. Speaking of credit utilization, if you’re starting over with new credit card accounts, make sure to keep these balances within 10 to 30% of the credit limit. That’s the best level for building a good credit score. Anything above could hurt your credit score. Having a mix of credit accounts is important because it shows lenders that you have experience with different types of accounts. Credit cards are different from installment loans and if you can handle both of them well, you’re a better credit risk than borrowers who’ve never had one or the other. If you need an installment loan on your credit report, look to a local credit union. Some credit unions offer credit-builder loans to help boost a bad credit score. Once you’re approved for the loan, the principle from the loan is deposited into an interest-bearing savings account. You make regular, monthly payments on the loan, not from the money in the savings account, but from your own funds. Your positive payments are reported to the credit bureaus each month. Once the loan is repaid, the savings and the interest are yours. The credit builder loan is also an option to add accounts to a thin credit profile that has a few or no accounts. The amount of time since you first established a credit history is just one part of how credit scoring calculations look at your credit age. The average age of all your accounts is another factor. Opening a lot of new accounts can lower your average credit age, so don’t open them unnecessarily. But definitely, open accounts as needed to help your credit score in other areas. Inquiries are noted on your credit report each time you apply for credit. Unlike other negative information, inquiries only stay on your credit report for two years, but they only affect your credit score for 12 months. Inquiries are only 10% of your credit score, but theoretically, they have the potential to drop you from a 600 to a 540. After you open a couple of new accounts to rebuild your credit score, let these inquiries age before you think about getting any new accounts. You may already be doing all the right things – you’ve opened some new accounts, you’re caught up on delinquencies, you’ve paid down your balances, and you’re paying your bills on time – and still haven’t seen an improvement in your credit score. The best thing to do is wait. It takes time for your credit score to recover from seriously negative information, for inquiries to fall off your credit report, and for positive payment history to outweigh the negative past. Be patient and check your credit score in a few months to see which risk factors are still affecting your score.